Saving money has become a necessity in every household. Finding ways to save that money can become difficult, to say the least. 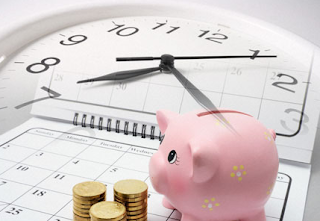 Here are 6 great tips for saving money every day. Packing lunch for work or a long drive will save you money, especially if you do it regularly. Evaluate how much money you actually spend on eating out, or purchasing food on the go. You would be amazed at how much it actually adds up to. Simply packing a lunch could save you more money than you possibly know. Walking to a local place saves gas and maintenance on your vehicle. It also eliminates parking fees and possibly insurance, if you cut driving significantly. Over the years, we have become spoiled by our vehicles and depend on them entirely too much. In other countries, walking and using public transport is unbelievable common (and we wonder why our life expectancy is nowhere near some of our European peers'). Many people prefer to grocery shop daily. However, this can add up to a very large food bill, because you're essentially going out to eat for every meal. Unless you eat an orange and salad everyday, this probably isn't sustainable (financially, anyway). Purchase staple items in bulk and keep it in air tight containers. Create one-week menu plans that account for all your meals and snacks. From this, write a grocery list. When you're out and about, stick to your grocery list and do not purchase something just because it is there or on sale. Saving money on a product doesn't mean anything if you are not going to use it. There are always various places to visit throughout theday. However, limit your trips to once a day. For instance, if you need to pick up the dry cleaning, but you are going to the grocery store when the kids get home, you should really avoid two trips by handling both tasks at once, instead of separately. Save your time and gas money, please! Understanding your financial limits can be a struggle. After all, prices change constantly for goods that we use, and stores make impulse buying part of our daily lives. However, simply creating a budget can make a world of difference when it comes down to your finances. The best way to save money is to simply realize how much money you DON'T have to spend on something frivolous. Understanding what your utilities cost each month can make a major difference in your bill at the end of the month. Remind yourself to turn off lights to reduce your electric bill. Set the thermostat a little lower and put on a sweater. Preventing high bills on a daily basis and actively monitoring your habits can put a little extra money in your pocket. Having a credit card might be great. However, you may not realize how much that credit card is ripping you off. Credit cards work the same as a loan - they charge you to borrow money. Before you decide to swipe your credit card at the register, remember the interest you will be paying. It may cause you to spend cash instead.